THE VOICE is making a major change to its competition format—and it’ll kick off with the Monday, April 15 episode. 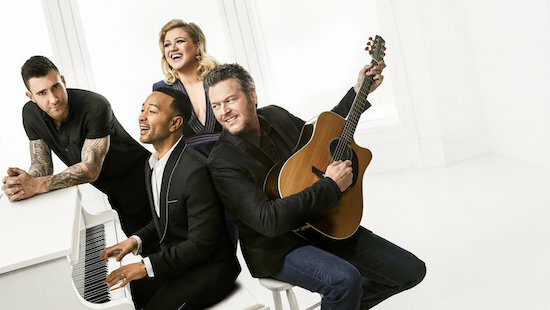 The “Live Cross Battles” stage of the competition—which replaces the “Knockouts,” which has been a fixture on the series since season 7—will find the season 16 coaches (Adam Levine, Blake Shelton, John Legend, and Kelly Clarkson) going head-to-head with each other, selecting one artist/group from their team to compete against a contestant from another team. America will vote on the winner of each round to move forward to the Top 24 live show. 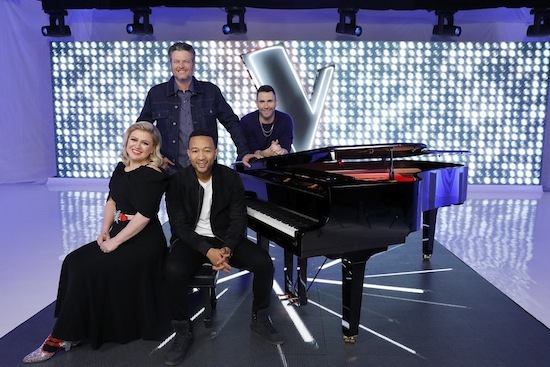 Tags: The Voice 2019, THE VOICE Live Cross Battles Stage, THE VOICE Live Cross Battles Stage spoilers, The Voice season 16, The Voice season 16 spoilers, What are THE VOICE Live Cross Battles Stage? And she was impressed the coaches—John Legend and Kelly Clarkson turned their chairs for her. 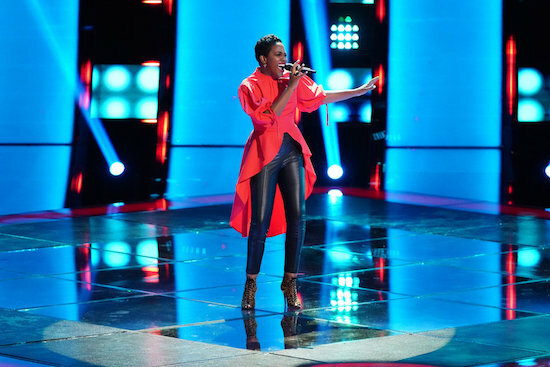 Part of the beauty of THE VOICE is you never quite know if the contestant’s voice will match the image you have of them in their mind—and season 16 gives a classic case of that in the season premiere. In the opener, which airs Monday, February 25 at 8/7c on NBC, Kim Cherry performs “No Scrubs”…but the viewers can’t see her until the first coach turns around. And, well, they are shocked.